What happens when you just listen to the conversations around a brand? But what picture did the social data paint? For four months we just listened to the discussions. From left to right the spikes were driven by racism, racism, money, money, racism, money, money, money. So, of all the issues above, only two were impacting heavily on the brand: racism and money (or greed as they called it). 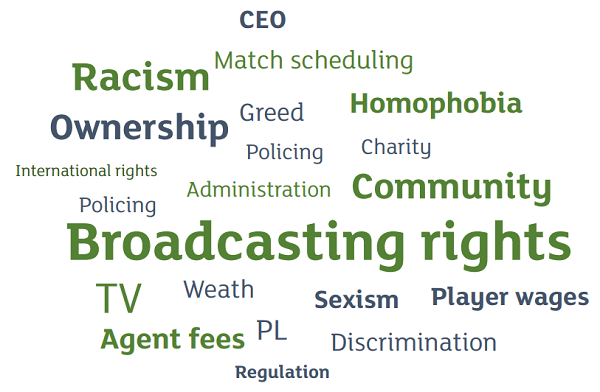 Armed with this information the Premier League was able to prioritise its communications around the two issues they now understood were attacking their brand and target the influencers having the biggest impact, some of whom were completely unknown before the analysis was undertaken.